Man-marking may no longer be employed in open play, but is still vitally important in set-piece situations. The game of football continues to evolve and go through phases, where a certain tactic or type of player is in fashion after it has found some success in the game. Source. One tactic that has fallen by the wayside is man-marking, which is seldom used these days, apart from certain situations of the game. Man-marking in football, as the name suggests, is using a player to mark an opponent player – a player who will shadow the opponent throughout the match, usually an attacking player. Man-marking in open play is usually reserved for players who are in a rich vein of form, or those superstars that have to be closed down and shadowed. The likes of Lionel Messi, Cristiano Ronaldo, and Eden Hazard have been man-marked on a constant basis, in recent times. Man-marking is a tactic that is used to contain and stop the influence that a player has on the team. To employ the man-marking tactic, the defending player has to control his aggression, should not make rash tackles, as well as be disciplined in following the marked player throughout the game. With modern attacking players fluid in their attack, switching positions and moving around the play freely, it is an imperative that the defensive shape is kept intact when a player is man-marked. Source. Man-marking is mostly used during set-piece situations, where a player from the defending team will mark an opponent during free-kicks and corner kicks. How to be good at man-marking? To be a good man-marker, the defender must always be aware of where the player he is marking is, at all times. Often, it is not about making tackles and dispossessing the attacker off the ball, but shadowing him, shutting down passing lanes, as well as being a pest and a nuisance. The attacker may well move positions to get rid of his marker, and may not be very effective. The key to good man-marking is being attentive, closing down the attacker quickly, and not allow the player to turn and head towards goal. The defender should also not get too close to the attacker, as a feint or a trick with the ball can help the attacker get past him. Staying an arm’s length away from the attacker is the ideal position while defending. Source. But, it is also imperative that the man-marker doesn’t chase the attacker when he is not in a position to make an impact or a threat on goal, say at the half-way line. Modern football has also seen the rise of man-marking a zone, where a player will defend a particular area of the pitch as his own, a combination of zonal marking and man-marking. Again, the man-marker must be disciplined and know which players can cause trouble, closing them down in the zone that is assigned to him, as well as being a leader of his area. While using a man-marking tactic, the rest of the players in the team have to cover for the player who is man-marking, ensuring that the balance and tactical shape is intact. This means filling up empty spaces, taking control of second balls, and also helping during attacks and transitions. Man-marking in set-piece situations is simple: stay with your man, and if the ball arrives near you or the man you are marking, clear it away from danger. When man-marking during set-pieces, the defender must know where his goal is at all times, keep an eye on the attacker he is to mark, while also knowing where the ball is delivered. Source. 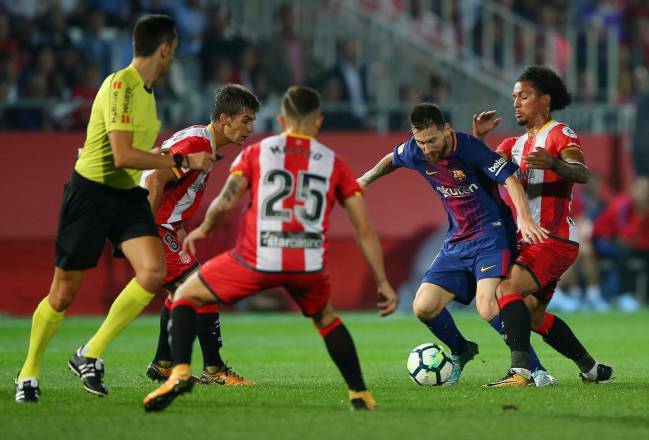 Man-marking from set-pieces can, at times, be tricky as attacking teams have devised innovative ways to dupe defending teams, by bunching together inside the box, or make late runs into the box from outside the penalty area. As mentioned previously, the defending player must concentrate, know the player he is marking and follow him around the box, ensuring he doesn’t put the ball in the back of the net. Man-marking is no longer in vogue, at least in open play, as it requires exceptional concentration and awareness, collectively and individually. But, it is still the preferred tactic that is used while defending set-pieces as it gives direct responsibility to the defenders in a high-pressure situation like a set-piece. Next Article Confused Between RICE And MEAT Treatment, This May Help You!